Does this post look familiar? It has been recently updated with new information and photos from our last trips! Valle de Guadalupe is like the crazy uncle of wine regions. You know, the one who shows up drunk to family functions and swears a little too much? It’s a little unpolished and pretty raw, but that’s what makes it so much fun. Compared to the other wine regions we’ve been to, Valle de Guadalupe feels exciting and new. It’s the perfect juxtaposition of modern and traditional; innovative ideas and trendy designs, combined with those addicting laid-back Baja vibes. Nick and I are lucky to live in Southern California which makes Valle de Guadalupe the perfect weekend getaway.. that we seek out as often as we can. 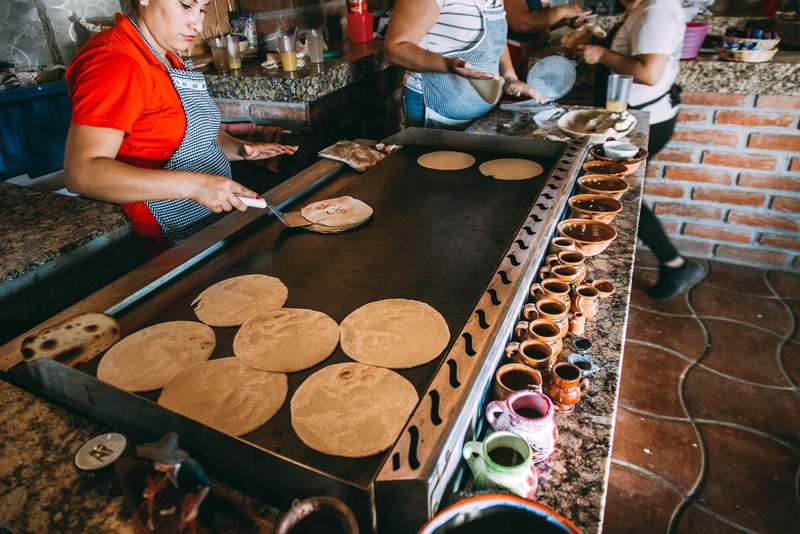 Keep reading to discover everything you need to know about visiting Valle de Guadalupe from where to stay, which restaurants to visit, tips for visiting, plus how to get there. 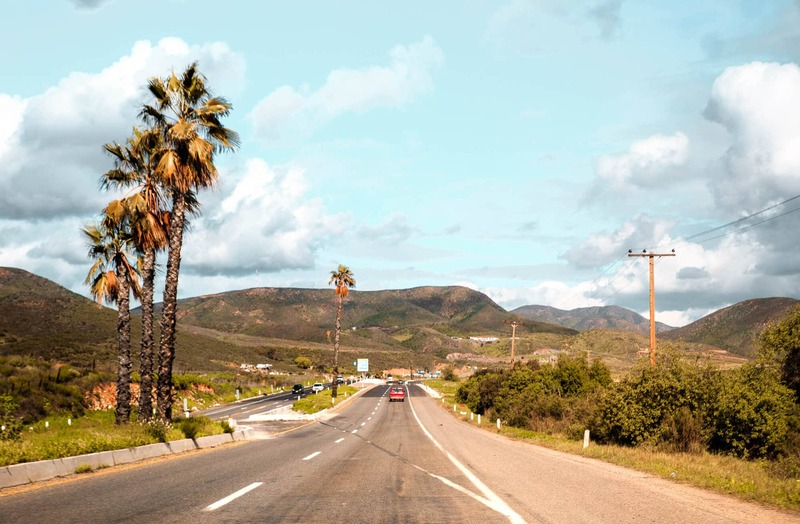 PURCHASE MEXICAN AUTO INSURANCE If you’ll be driving to Valle De Guadalupe from the United States, your car insurance will most likely not be valid in Mexico. If we are ever going to be in Mexico overnight, we purchase a daily Mexican insurance policy, just in case. We usually use BajaBound.com; it’s around $25-35 USD per day, and covers collision, theft and liability. The policy also includes roadside assistance which we almost needed last time we were down and found ourselves stuck in a huge mud puddle. If you’ll be renting a car, double check with the company to make sure you’re allowed to take it into Baja. Our cars definitely need some TLC every time we get home. DECIDE ON THE WINERIES YOU WANT TO VISIT IN ADVANCE Most of the wineries are located pretty far off the main road and some are hard to find. It’s not like in Temecula where you can window shop and then pull into the one that looks the coolest. It’s a good idea to plan your itinerary in advance to make the most of your trip. LANGUAGE BARRIERS Almost everyone at the wineries we’ve been to speak great English and they are used to tourists. Some of the more local restaurants don’t speak much English, but everyone has always been accommodating to our limited Spanish. As always, learning a few key phrases in the local language can go a long way. UBERVALLE Since the whole point of visiting Valle de Guadalupe is to drink wine, you’ll probably be looking for way to get around. Uber has a special service called UberVALLE which basically puts you in contact with a driver who will pick you up either in Ensenada or at your hotel and drive you to the different wineries for the day. You can call a regular Uber as well, but there are not usually many cars on the road, so the wait times can be long. For more information about UberVALLE click here . If you’ve never used Uber before, use my referral link HERE and we each get a free ride! CHECK THE BORDER WAIT TIMES Getting back across the border can take forever (2-6 hours), especially on the weekends. Check this website for current wait times for both the pedestrian and car lanes. LA RUTA APP Our Airbnb host recommended the La Ruta app, which gives you a pretty good map of every winery in Valle de Guadalupe, plus the option to click their profile and learn more. The app is a little glitchy and kind of slow but it’s still a good resource to check out. After a long day of wine tasting, you probably won’t care where you pass out, but why not make it some place really cool? 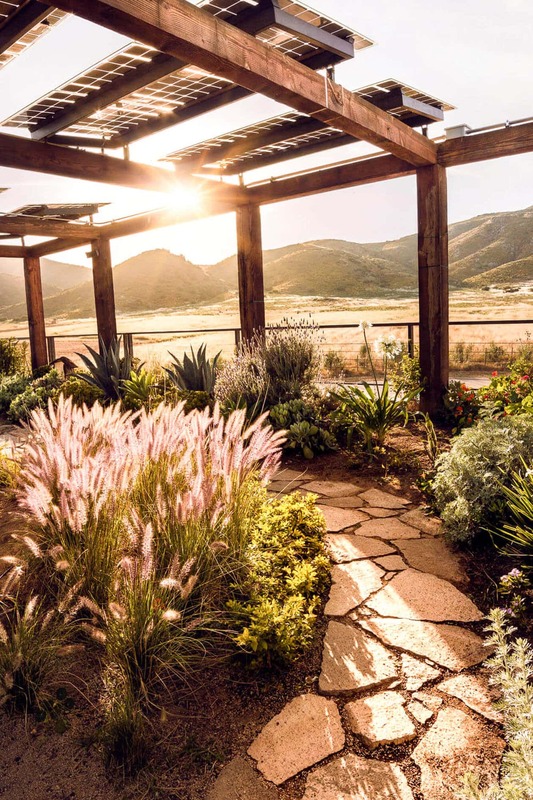 Valle de Guadalupe keeps popping up with interesting lodging options, from a bubble hotel, to glamping tents and suspended eco-lofts. Check out my related post below to read about 4 of the most unique places to stay in the valley. 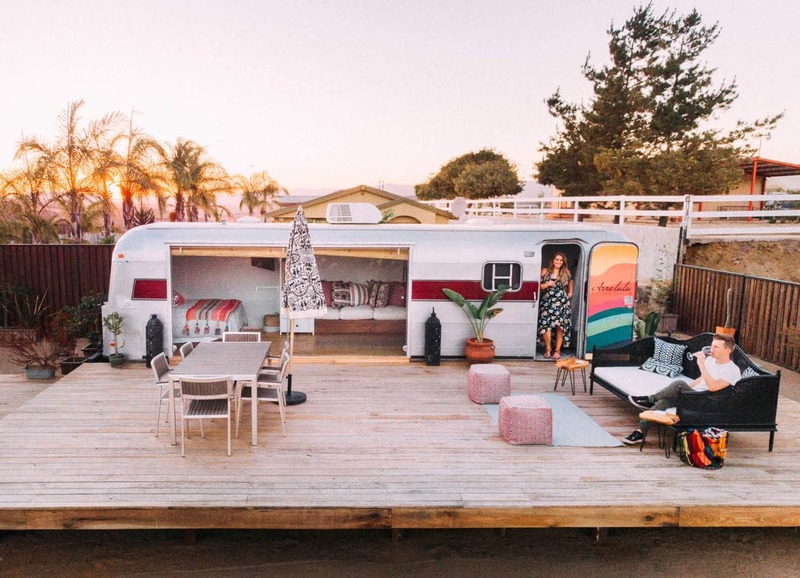 Arre Lulu Baja is a centrally located remodeled airstream in Valle de Guadalupe and it’s hands down the cutest lodging option for a weekend of wine tasting in the valley. 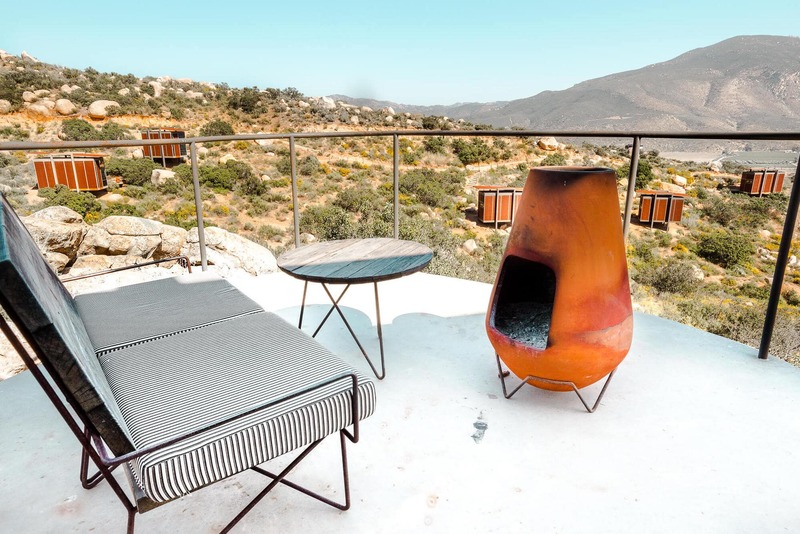 Complete with a large patio, soaking tub, barbecue grill and excellent views, Arre Lulu Baja is our #1 favorite place to stay in Valle de Guadalupe. For more information and booking Arre Lulu Baja click here for their Airbnb listing. 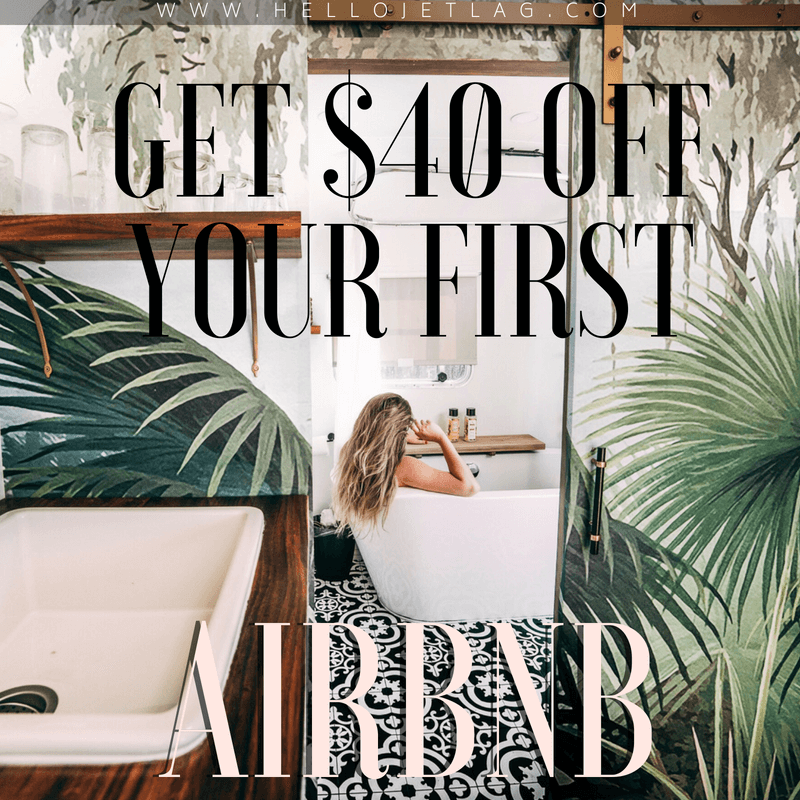 If you’ve never booked through Airbnb before, click below for $40 off your first stay! Quinta Maria en la Ruta del Vino is a bed and breakfast in the heart of the valley. 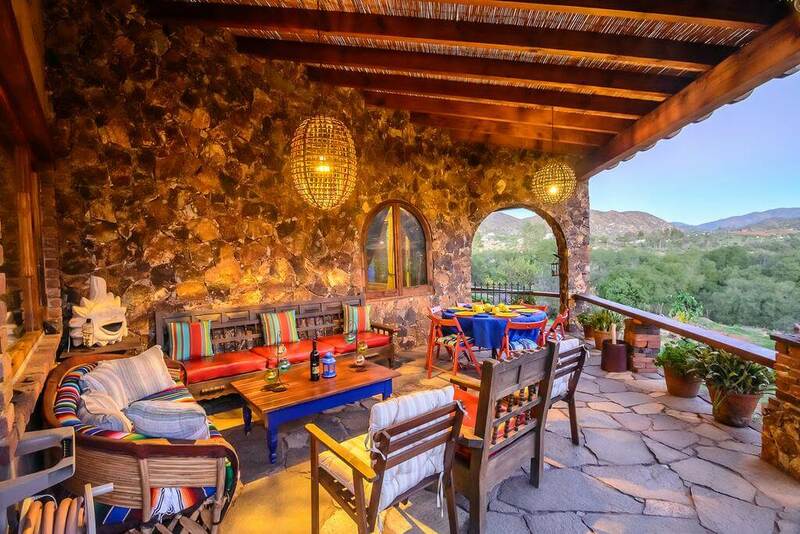 It offers mountain views, free breakfast and a perfect setting with it’s vibrant, authentic Mexican decor. Boutique Valentino is a boutique hotel located 1 mile from Adobe Guadalupe Winery. The cabin style rooms are elevated as to not disrupt the landscape and the hotel also offers a common area kitchen for those who want to cook their own meals. 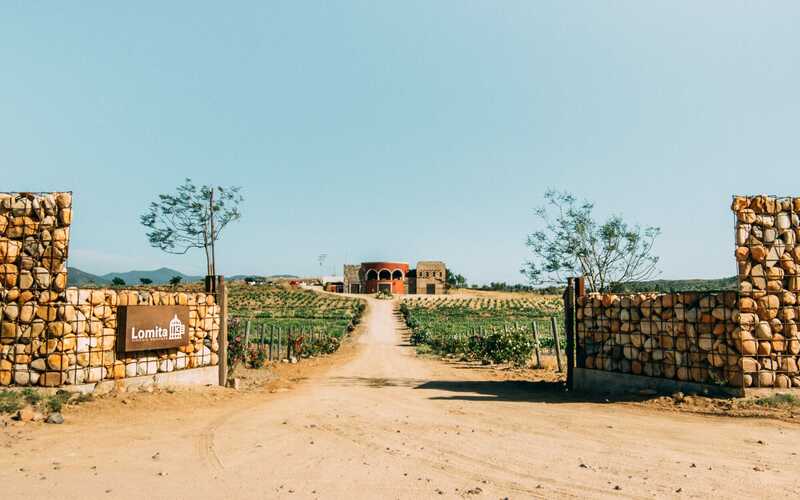 There are over 150 different wineries in Valle de Guadalupe and one of my favorite things about this region is just how different each one is. They all have their own personalities, from traditionally beautiful to quirky & trendy, so there is something for everyone. 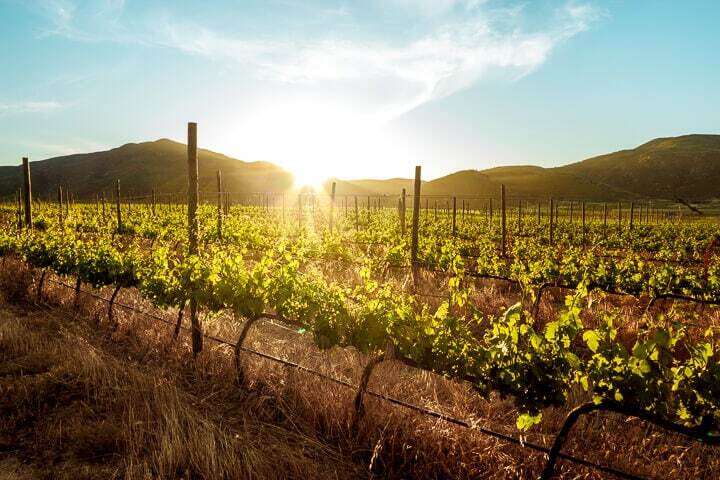 The oldest and most popular winery is Monte Xanic, which has been producing wine in Baja for over 20 years. They’ve won over 250 awards and their property is stunning, so if you’re looking to taste great wine with amazing views, this is a good place to start. 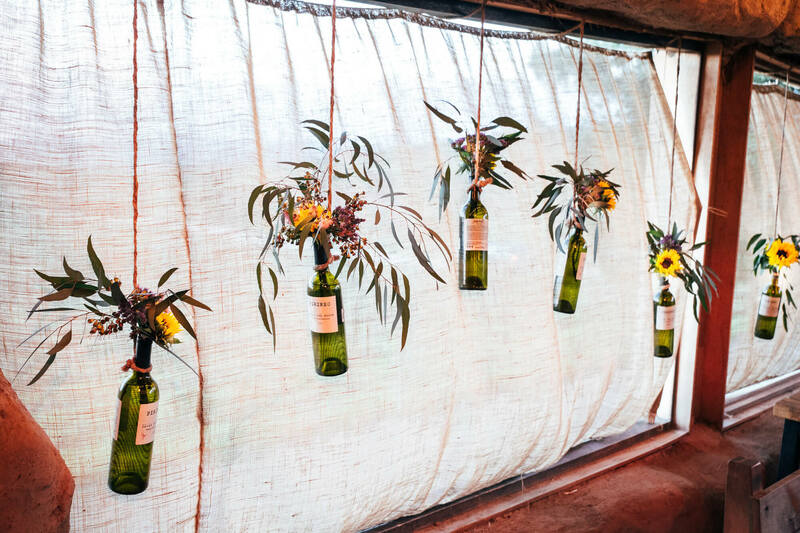 My personal favorites are Vena Cava, a uniquely designed winery made out of recycled boats, Finca La Carodilla, the first certified organic winery in the Valle (with the prettiest patio), and Hacienda La Lomita, who I felt had the best tasting wines. The winemaker at Hacienda La Lomita and Finca La Carodilla worked in Napa for 17 years as head winemaker of red wines for Robert Mondavi. 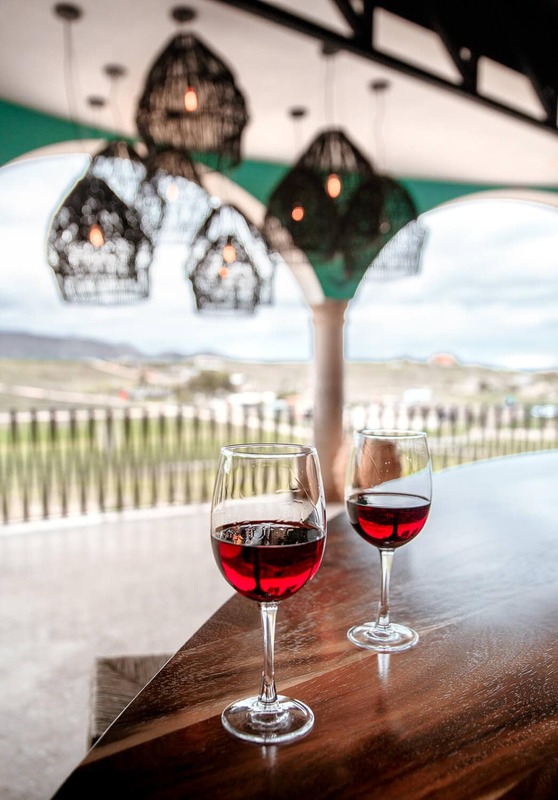 Click my related post below to discover 9 Valle de Guadalupe wineries to check out during your visit to Baja California. 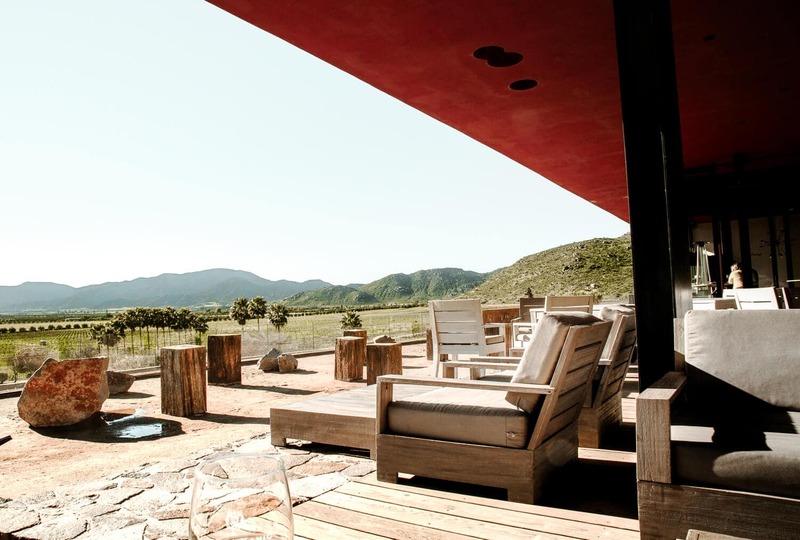 Cuatro Cuatros is a 30 minute drive from the valley, but it is one of our favorites places in Baja to sip wine and relax. 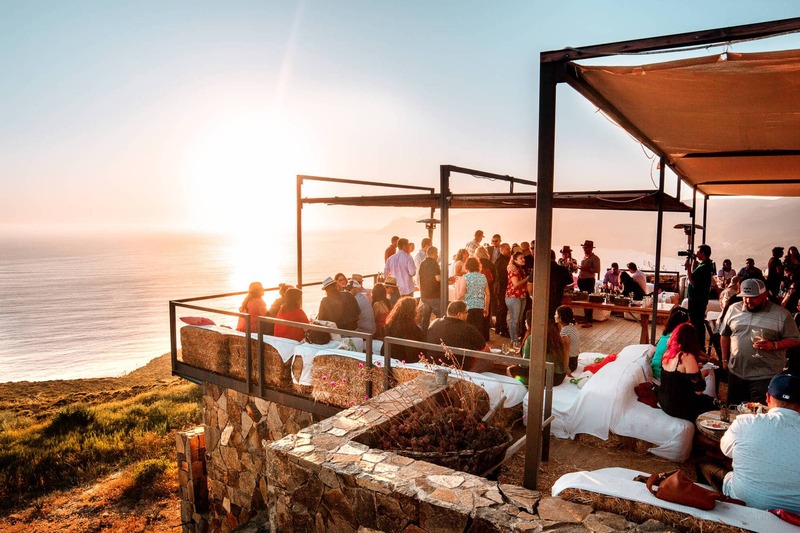 If you have time, try and visit this cliffside bar during sunset for sweeping views of the Baja coastline. Most of the wineries in Valle de Guadalupe have restaurants and/or food trucks on site, but the lack of local available Mexican food was one of my least favorite things about this wine region. When I’m drunk in Mexico all I want are tacos and an elote man within 50 ft of me at all times. While Nick and I were sipping wine on the lookout deck of Hacienda La Lomita, we noticed a packed parking lot and a crowd of people off in the distance. We’re not ones to miss out on a party, so we made our way over to check things out and stumbled upon the one and only La Cocina de Dona Esthela. 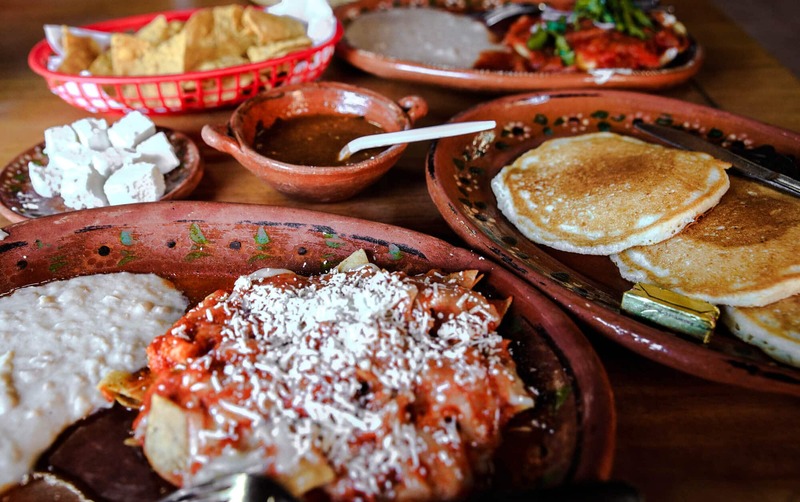 FoodieHub (the worlds’ largest global network of local food experts) named La Cocina de Dona Esthela the “Best Breakfast in the World” and after many visits to this local gem, we wholeheartedly agree. It’s simply not a trip to the valley without eating breakfast here. Unfortunately, if you’re visiting on a weekend wait times are pretty much inevitable. The earlier you get there the better chance you have at getting seated in a reasonable amount of time. If the wait is long, I recommend putting in your name and heading next door to Hacienda La Lomita Winery for a glass of wine while you wait. La Cocina de Dona Esthela is famous for their machacas. 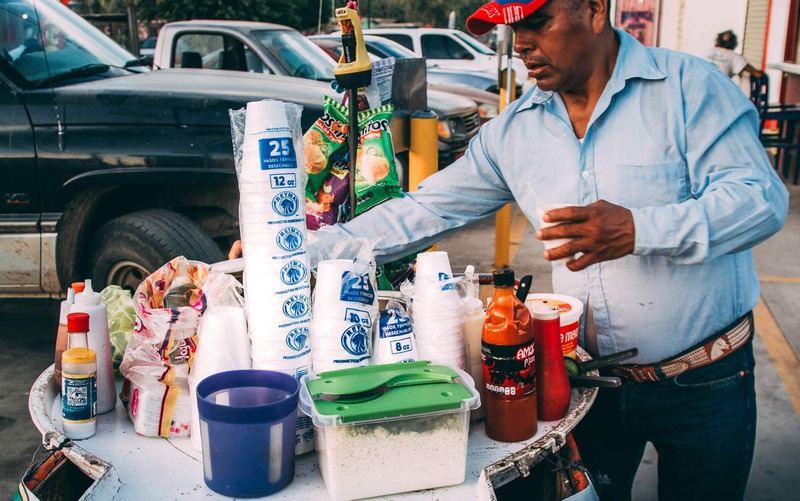 I would die for their elote (corn) pancakes which blow every other pancake in the world out of the water. Nick says the Huevos Rancheros are the best he’s ever had and we both love the chilaquiles. We haven’t tried anything that we haven’t liked. Not only is the food incredible, but it’s cheap! We usually walk out having spent less than $15 USD. A man recently commented on my blog that I was missing out on the region’s world class restaurants by just looking for tacos. And I would like to say if you think tacos = missing out, you probably shouldn’t be on this blog. 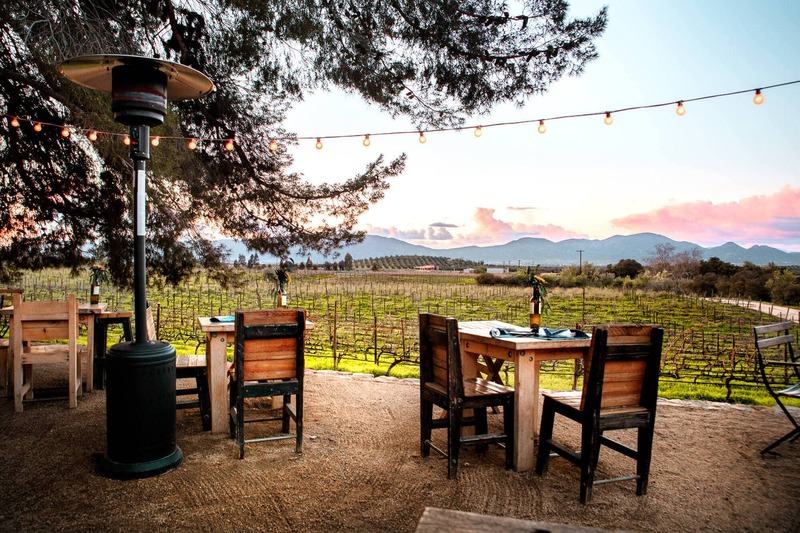 But in an effort to properly represent all of the dining options in Valle de Guadalupe, we recently decided to check out a few of the nicer, more celebrated restaurants in the region to see what we were “missing out” on. 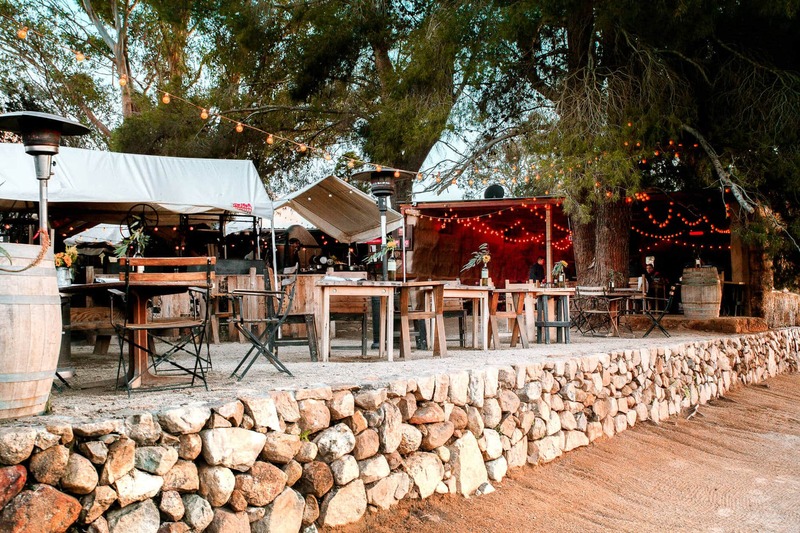 Deckman’s en el Mogor is run by Michelin star chef, Drew Deckman, who’s goal is to bring the “table to the farm” at his popular Baja restaurant. 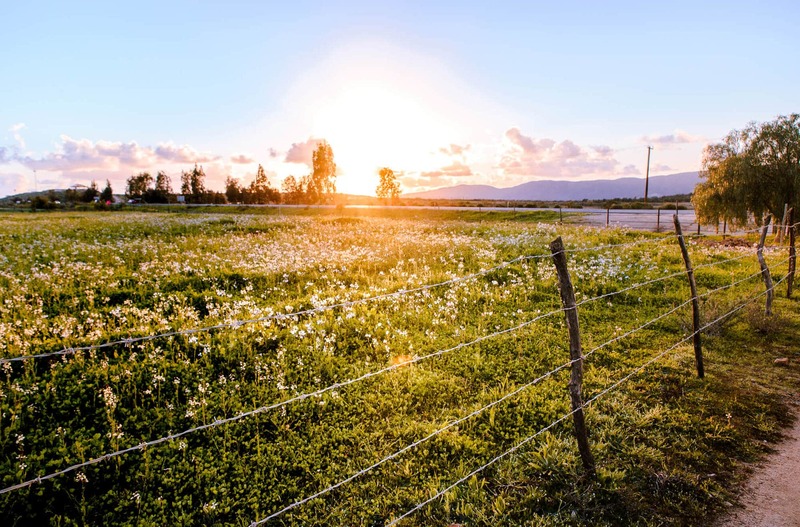 Deckman’s aims for sustainability throughout their entire business, and all of their wine, vegetables, herbs, lamb, olive oil, and eggs are produced and grown on site. Deckman’s fish, seafood, salt, cheese and beef are also local, they offer no commercial beverages and they also reuse their waste water in their irrigation processes. 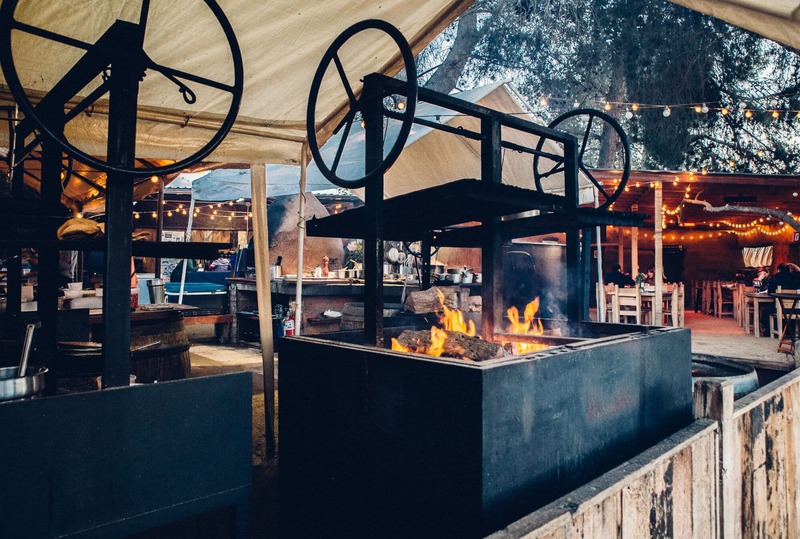 The restaurant is located at Mogor Ranch and the rustic setting complete with bales of hay and an outdoor kitchen is not what you would typically expect from a fine dining establishment. But it works here. We visited during sunset and the views of the vineyards from the restaurant could not have provided a prettier setting. The menu at Deckman’s changes seasonally but we ordered the Kumiai Oysters, Sirloin Tataki and the Striped Bass with a few glasses of the farm’s own wine. The presentation was exquisite, the food was delicious and the prices were very reasonable considering the quality of the experience. I hate to say it though.. if I had to choose, I’d still take street tacos. But that definitely says more about me than the the restaurant because it was perfect and you should definitely check it out. Reservations are highly recommended, and on the weekends they are pretty much necessary. After a few disappointing food stops on our first visit to the valley, we decided to head to the center of town to find a local restaurant with no tourists. La Cocina D’Marco wasn’t fancy (at all) but they whipped up the best shrimp quesadilla we’ve ever had. If you’re looking for an inexpensive and delicious local meal, definitely stop in. Check out their Facebook page for hours. 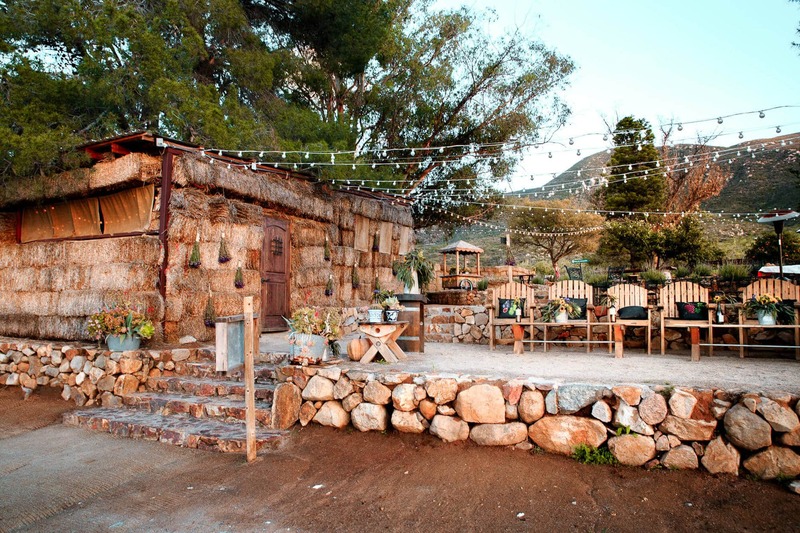 Finca Altozano is open air restaurant located on their head chef’s personal ranch. Like Deckman’s, Finca Altozano offers a sustainable, farm to table menu. All of their ingredients are locally sourced and they even grow a lot of their own produce on site. 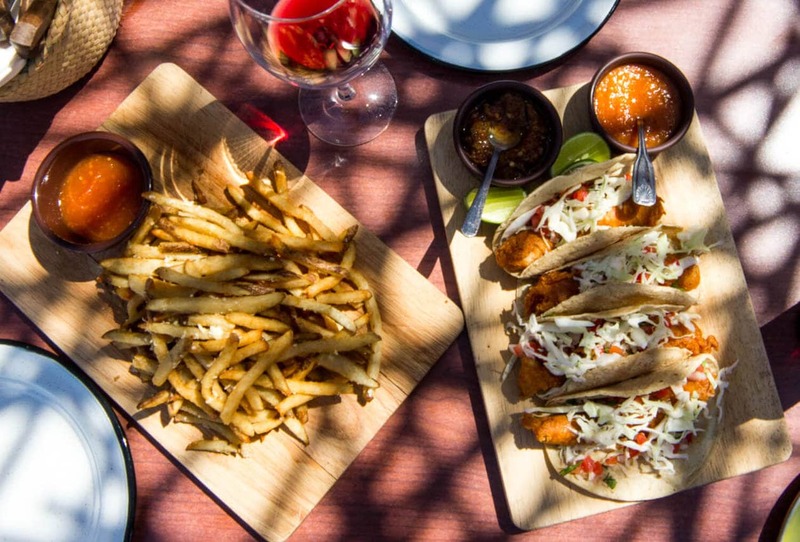 The menu has an emphasis on grilled meats and seafood, but this is one Valle de Guadalupe restaurant that also has a good amount of vegetarian options. 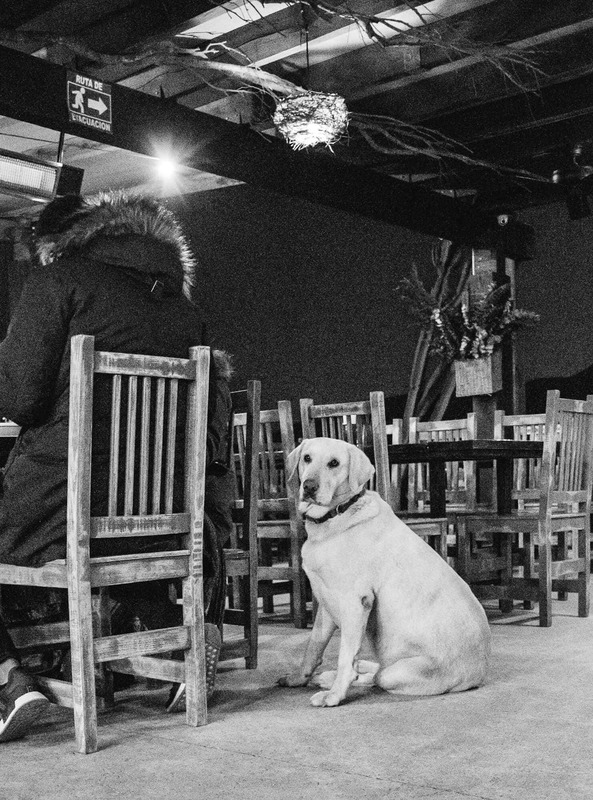 The highlights of our meal were the ahi tostada (so good) and the churros, but one of my favorite things about Finca Altozano is that they take in and care for rescued dogs. You’ll see their pups curled up all around the property, or even under your feet. TIP If you’re visiting during any of the colder months, I recommend stopping in for lunch vs dinner as it gets pretty chilly at night and the heaters were not enough to keep us from shivering once the sun went down. Out of all the wineries we’ve visited, Troika Food Truck at Vena Cava winery serves our favorite food. 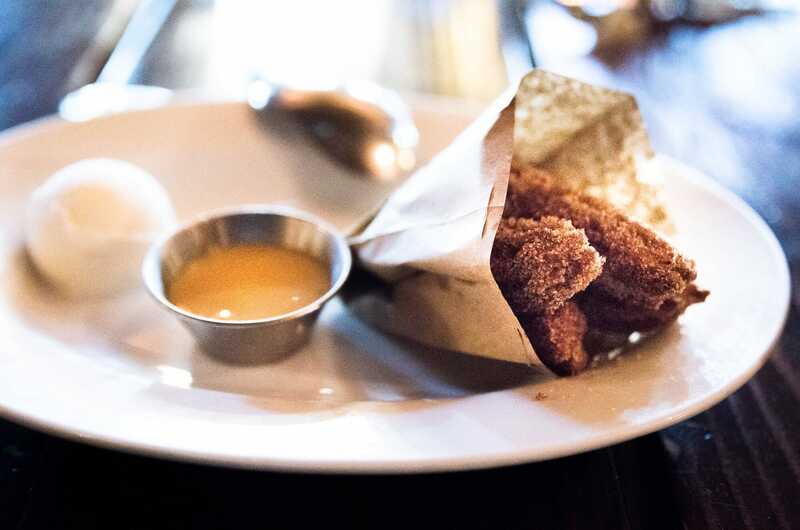 The menu consists of gastropub type food including sliders, truffle fries, salads and tacos. 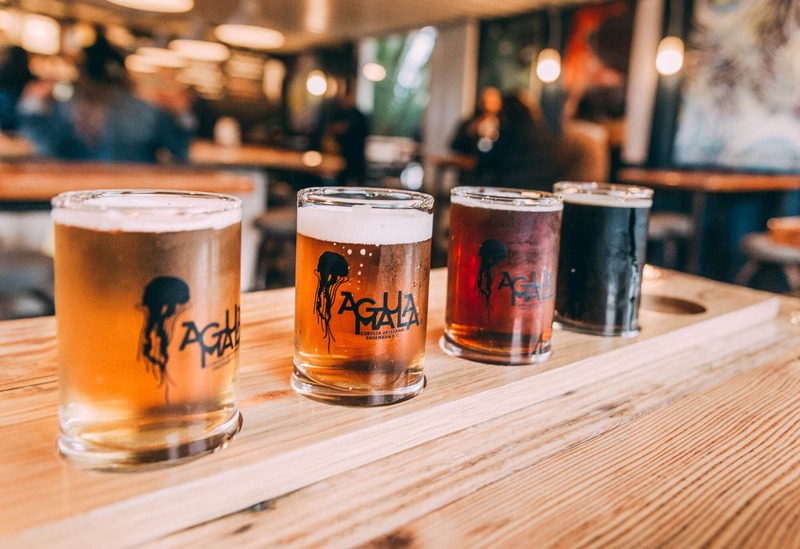 If you’ve had enough wine for the weekend, Troika also offers up craft beers from local breweries, which are worth checking out as Baja’s craft beer scene is rapidly growing. If you’ll be in and around Ensenada during your trip to Baja California, La Guerrenese is must visit.. especially if you like ceviche. 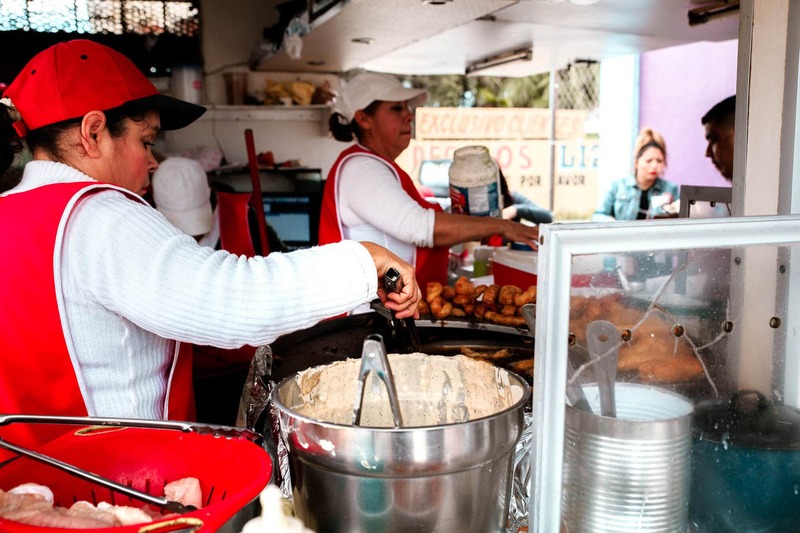 Located in the heart of Ensenada (30 minutes from Valle de Guadalupe), this street food cart was called the “best street food in the world” by Anthony Bourdain. Go early because they sell out every day. 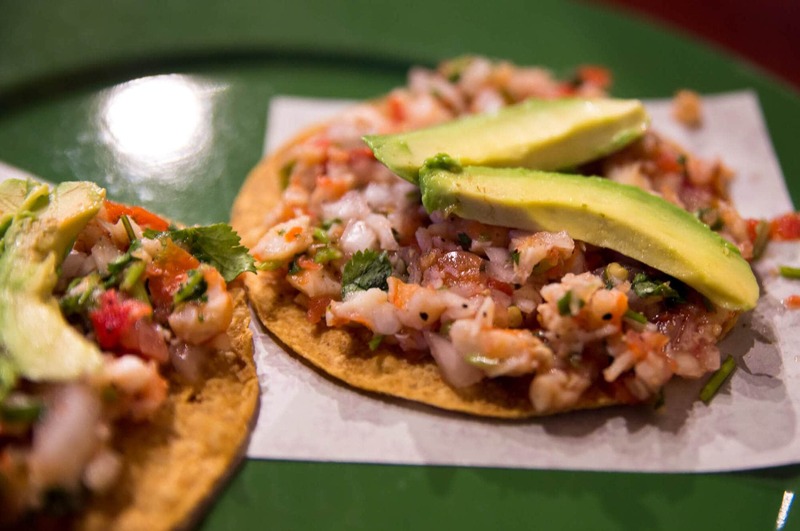 If you eat seafood, I recommend stopping in Puerto Nuevo on your way in or out of Valle de Guadalupe. 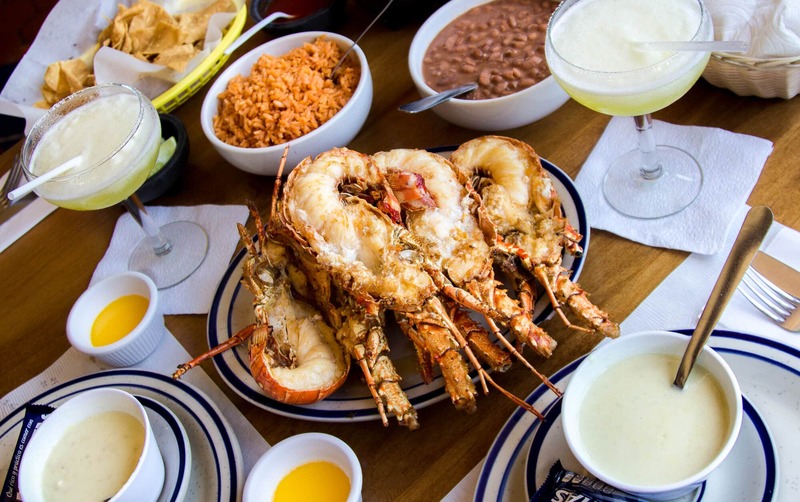 Puerto Nuevo is a little town famous for their lobster and there are dozens of restaurant options to choose from. I have countless memories of eating dinner in Puerto Nuevo when I was young. I used to get SO grossed out by the plate of lobster they’d bring my dad and I never tried it.. but I was always curious. Every once in awhile Nick and I will stop in Puerto Nuevo and have lunch at Casa de Langosta. The portions are huge (we definitely could share but we forget every time) and the price is amazing ($45USD). If you’re not too full, grab a homemade, fresh fruit popsicle at the ice cream store across the street. 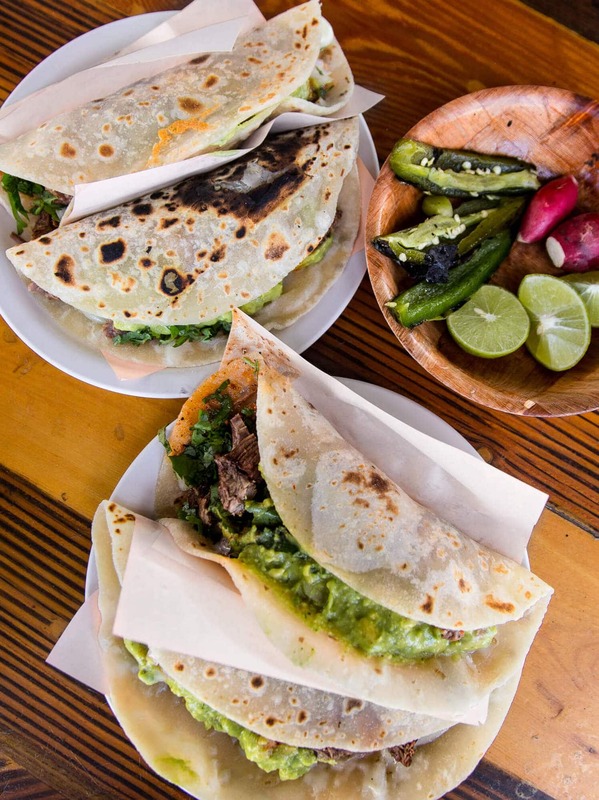 If you visited Puerto Neuvo on your way to Valle de Guadalupe, check out Tacos el Yaqui on your way home. 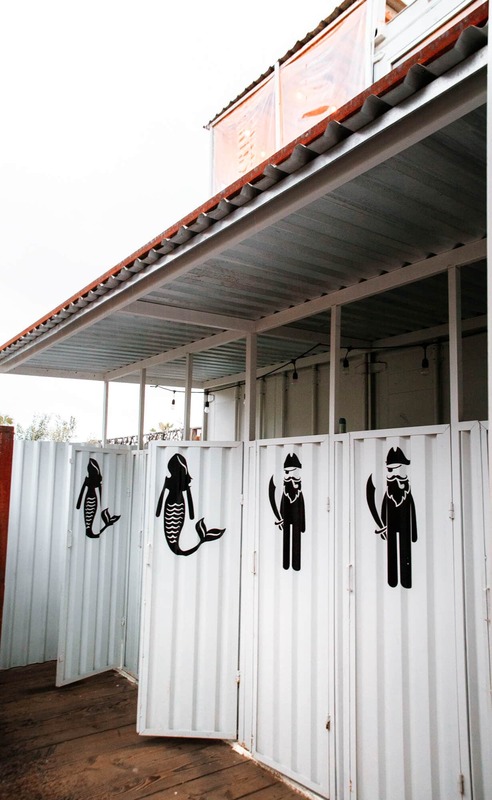 Located in Rosarito, Tacos el Yaqui is a causal outdoor taco shop, famous for their carne asada tacos. I first discovered them on Yelp, where they have over 350 five star reviews. Sometimes I’m a little wary of Yelp reviews, but these ended up being some of the best carne asada tacos we’ve ever had. The taco stand has been here since 1984 and they have just 1 menu item. 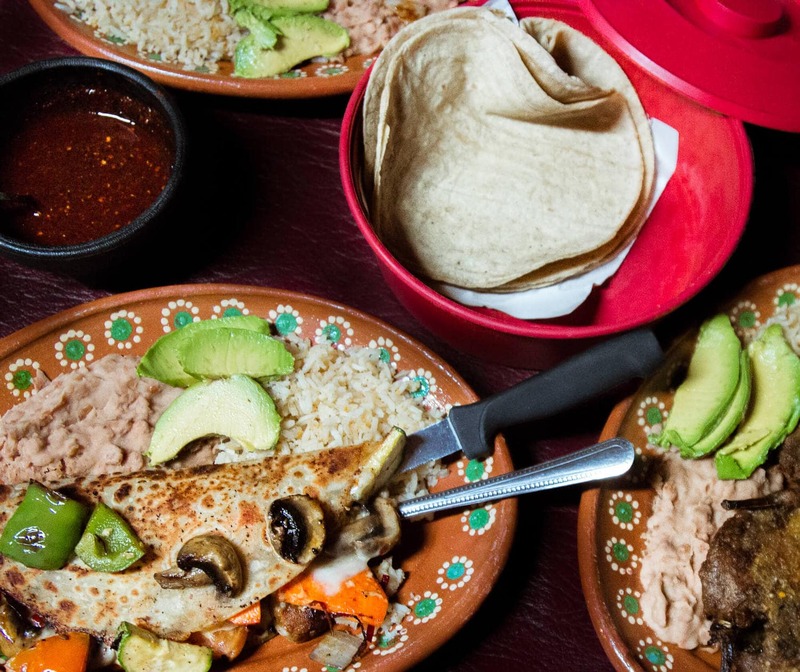 The carne asada is cooked over a wood-fired grill and then wrapped in homemade flour tortillas. It’s definitely worth the stop. Tacos El Yaqui is cash only but there are ATMs nearby. We discovered Tacos Fenix on our most recent trip to Baja and since I feel like haven’t given you enough options for tacos 😉 let’s throw one more street cart into the mix. Tacos Fenix is owned and operated solely by women and let me tell you, these ladies know how to make a taco. The stand is super popular amongst locals and even though there are a handful of other taco carts in the area, this one stood out because it was the only one jam-packed with people. The menu is simple and consists of only shrimp and fish tacos.. coming in hot at about $1 USD each. 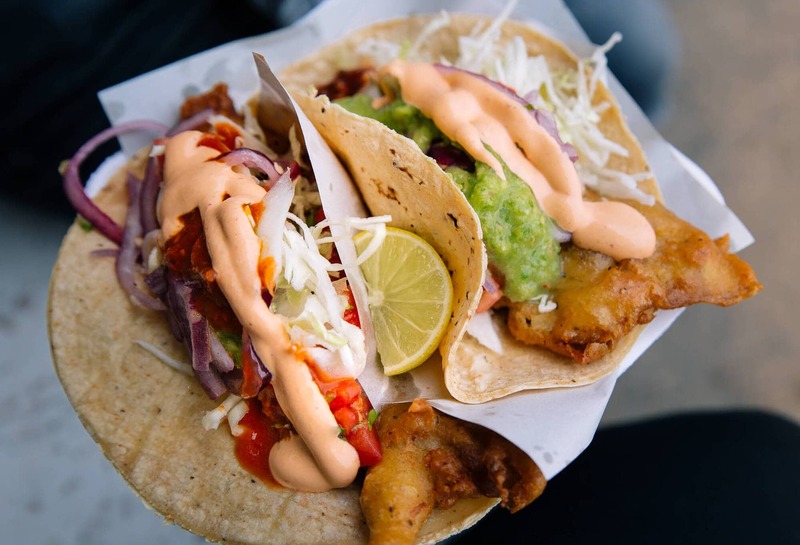 Order your selections, watch them fry it up in front of you and then dress up your taco how you want from their selection of toppings and fresh salsas. You pay when you’re finished eating, probably because they know you’ll be back for more. 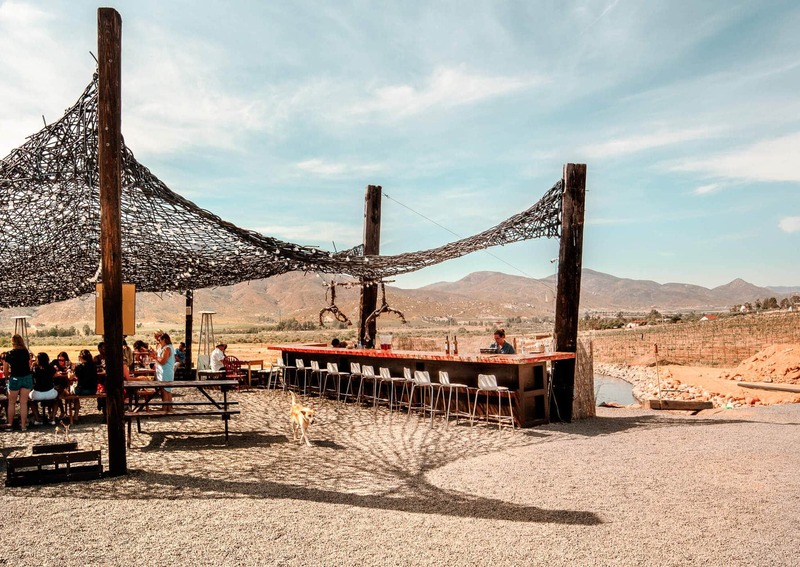 In recent years, the craft beer scene in Baja California has exploded. There are over 80 breweries in Baja with a handful of microbreweries located in and around Ensenada. We had heard good things about Agua Mala, so we decided to stop in for a flight while we waited for the border lines to mellow out. 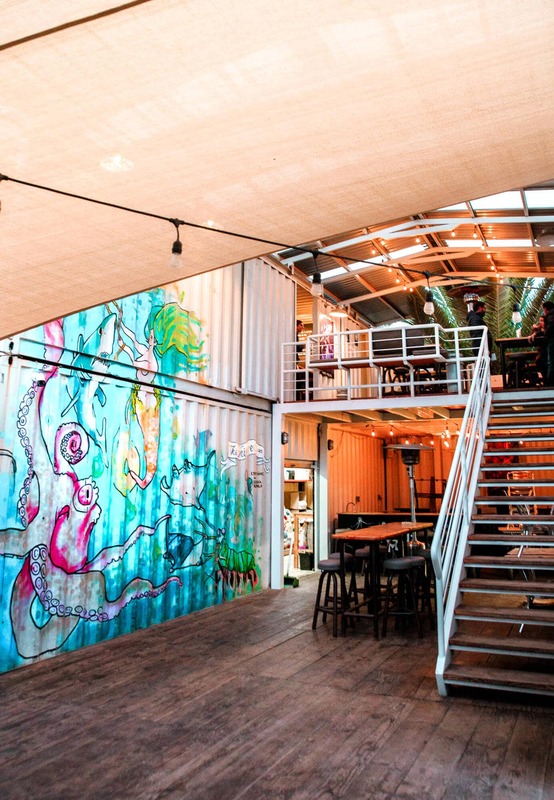 Agua Mala is set inside a collection of shipping containers that have been painted with colorful murals, and transformed into a brewery and tasting room. The brewery’s core collection consists of 6 award winning beers, with Siren (pilsner) being one of their most popular. On top of that they also have line of seasonal beers including some interesting options like a Tamarindo Sour and a Mole Stout. The Tamarindo Sour was a little too sour for my taste but we both enjoyed all of the other beers we tried. Agua Mala also serves food so it’s a good place to stop on your way in or out of Ensenada. I really liked the atmosphere (the brewery has ocean views!) and I would definitely return. IS VALLE DE GUADALUPE SAFE? My favorite thing to do in Los Angeles is tell people that I go to the dentist in Tijuana. People literally freak out (I think they picture me in a back-alley getting teeth pulled or something). In reality my dental clinic is one of the world’s leading holistic dental clinics located in a 5 star hotel. Because of the sensationalized, negative attention Mexico has gotten in the media, it does conjure up some scary images for people. I can only speak from personal experience but I feel completely safe in Mexico. In fact, I feel much safer in Valle de Guadalupe than I do in Los Angeles (where I live). As with anywhere you travel: use common sense, stay aware of your surroundings and always listen to your gut. 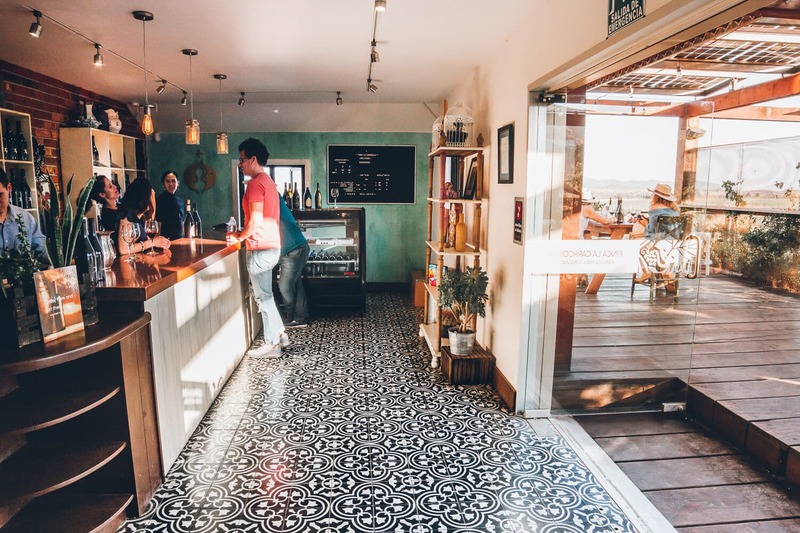 If bar hopping in Ensenada is on your itinerary, keep an eye on your drink and avoid straying too far off the main roads alone, especially at night. 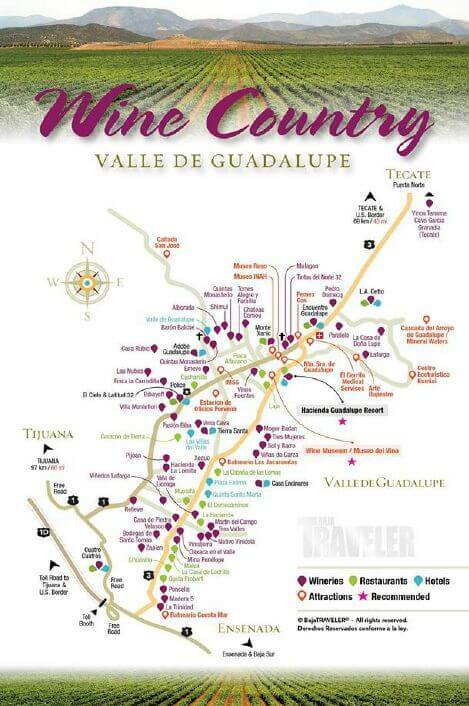 The quickest way to get to Valle De Guadalupe from San Diego is to drive. If you are new to driving in Mexico it’s not as intimidating as it may seem, especially after you exit busy Tijuana. 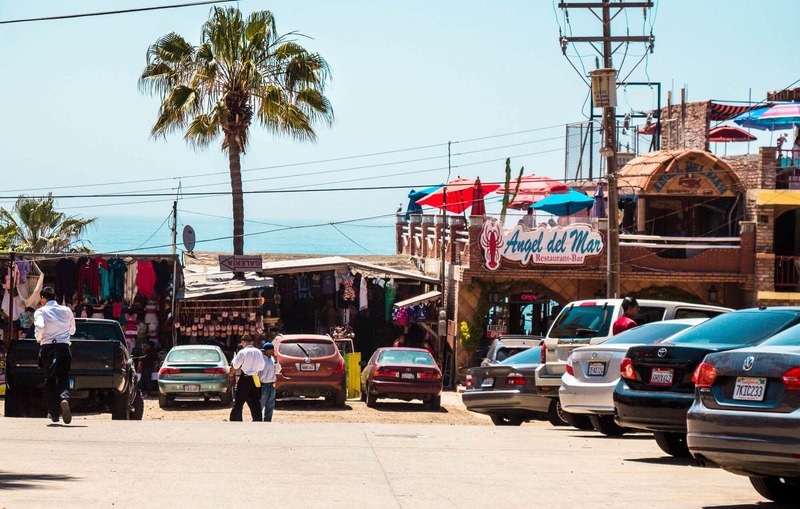 Even though it takes about 15 minutes longer, I prefer to take the Mexico 1 freeway because it follows the coast, and you can stop in Rosarito or Puerto Nuevo for lunch. See above for my restaurant recommendations. 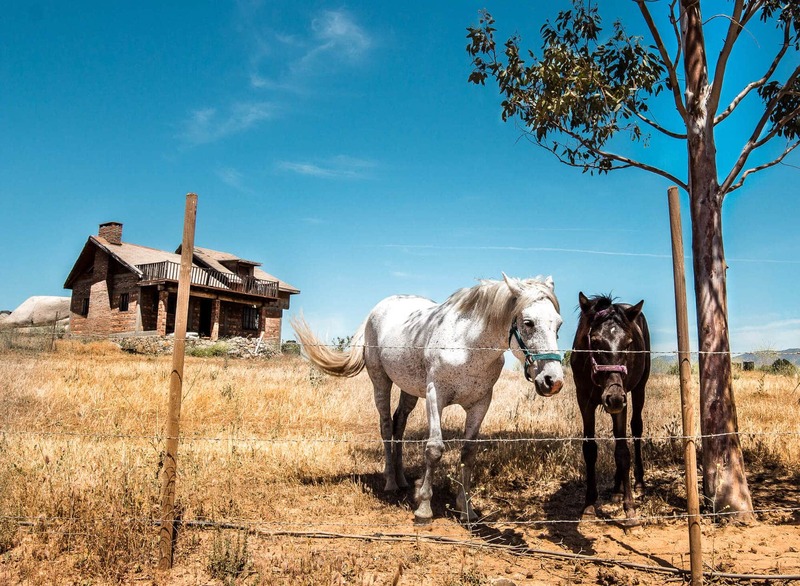 You’ll see signs as you get closer to Valle de Guadalupe, then you’ll exit and head up and into the valley. TRAVEL TIP: Download an offline Google map and you’ll be able to use your directions even if you don’t have coverage or service. If you don’t want to drive or join a tour, you can reach Valle de Guadalupe via the ABC bus which goes from Tijuana to Ensenada. The busses are coach busses with bathrooms, WIFI and air conditioning. A one way ticket costs $185 pesos (under $10 USD), the journey takes 45 min – 1 hour and busses leave frequently. 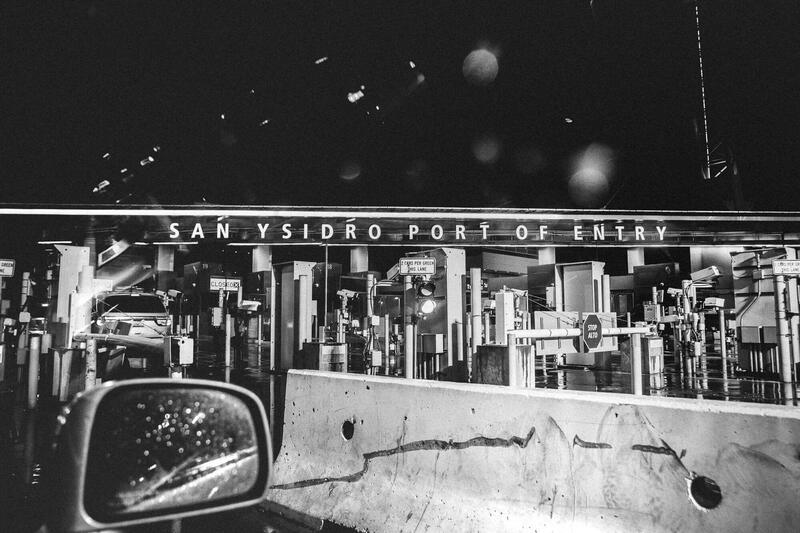 It’s expensive to leave your car overnight in San Ysidro (the US side of the border) so consider taking an Uber or even the trolley, which will drop you off directly in front of the pedestrian crossing. Once you make your way across the border, the bus terminal (Terminal La Linea) is an easy 10 minute walk. At the terminal, look for the ABC bus to Ensenada. It’s not necessary to purchase tickets in advance. Once you arrive in Ensenada you’ll need to either rent a car or call a taxi/UberVALLE to take you to Valle de Guadalupe. 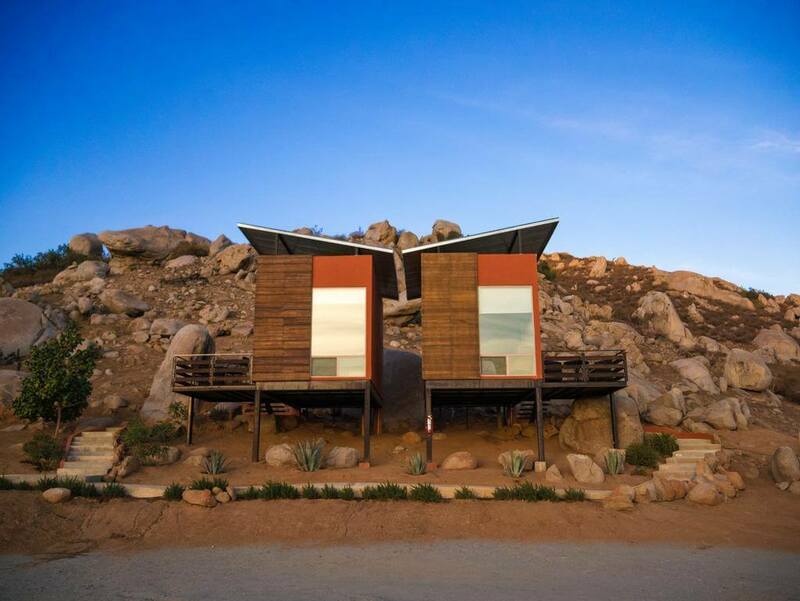 From Valle de Guadalupe, head back to the Ensenada bus station. In Tijuana, the bus will drop you off right at the pedestrian crossing to go back to San Diego. If you find yourself on a Baja California cruise, chances are you’ll be docking in Ensenada. Your cruise ship will probably offer tours to Valle de Guadalupe but I alway recommend cross checking with Google as you can usually book most tours direct, for cheaper. I would also consider hiring a taxi or an Uber for the day to take you to the valley and drive you around to different wineries of your choice. It’s only a 30 minute ride from the port so it’s extremely doable on your own. 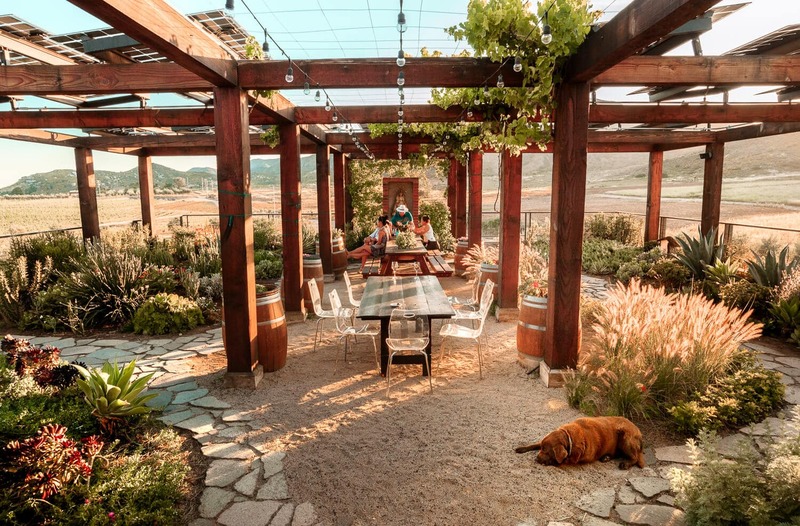 There are multiple tour companies that will pick you in San Diego or Ensenada and transport you to Valle de Guadalupe for a full day tasting adventure. Comment below if you have any other tips or winery recommendations for my next visit to Valle de Guadalupe! Do you recommend converting cash to Mexican denomination? A lot of places undercut your dollar is why I ask. I really loved this article too, so much helpful information! I’m heading down to the Valle in September with 12 friends for my birthday, can’t wait! I didn’t think about converting dollars to pesos and I want to let my friends know to do this. Do you recommend doing this in the US before getting into Mexico or is it easier to do once you’re down there? Hi Shannon! I usually just ATM after I enter Mexico. I have almost always found the exchange rates to be better or comparable this way. Check with your bank to see if they charge a fee, but ATM’ing makes things so much easier. As a side note, most larger grocery stores and restaurants will take US dollars but I do like to have pesos just in case. Have a great bday and let me know if I can help with anything else! Thank you, Lindsey! Very helpful, I appreciate you taking the time to reply. Excited for our trip in a few weeks! Hi! 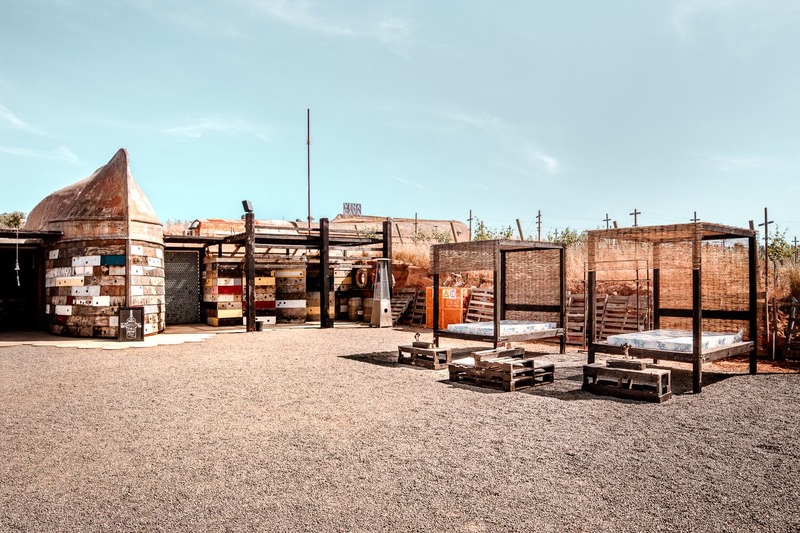 I absolutely loved your post about valle de guadalupe and found this so much more helpful then all the searching I did through trip advisor. Did you have to have a winery tour scheduled with a tour company or reservations in advance to go do wine tastings at the wineries? Or were you able to show up to wineries on your own and do tastings without going through a wine tour company? Hi! The article was filled with great tips! My husband and I are heading down for a long weekend for our anniversary. Since it’s just the two of us, I thought paying for an all day driver would be rather pricey. Are regular ubers available to take us to each winery as we wine taste? Just wondering what our options are for getting around if we don’t want to drive. Thanks! Hi Kavita! i’m so sorry for the delayed reply. Hopefully I’m not too late. Yes, there are Ubers available but there are only a few on the road at any given time (there are more drivers on the weekends). We have never had an issue getting one though, other than having to wait a little longer at at times. You can also ask the wineries to call you a cab if you get stuck. Other than that, aside from tours, there are not many ways to get around yet. I read a lot of travel type blogs, this is a great post. Great information and you aren’t as verbose as so many bloggers tend to be. You pack a lot in here. Question – who is your dentist in Tijuana? I’m in Mexico now and will passing through on my way to San Diego and need to see a dentist (and refer some people in San Diego to one if they turn out to be good). Thanks. Thanks Andy, glad you found it helpful! I go to American Bio-Dental. Their office is located inside of the Grand Hotel on Agua Caliente Blvd. Hi! This was one of the only articles I read with plenty of info so thank you. I was wondering how you got from one winery to the next? 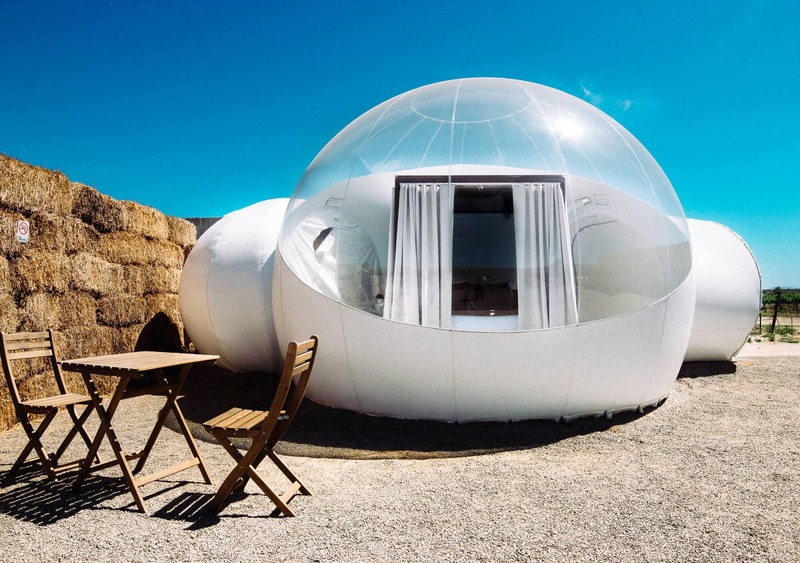 I’m driving and staying at Campera(bubble hotel) but have to idea hot to get to the wineries exactly. Are they all very walkable? Or did you drive from one to the next. Thanks! Unfortunately the wineries are not walkable and there are not a lot of options to get around. The first time we visited, we were with someone who doesn’t drink so they were our DD. The last time we visited, we drove ourselves but we only visited a few wineries each day and spaced them out. If you plan on doing a full day with a lot of drinking, you can hire a taxi for the day or have the wineries call you one after each stop. They do have Uber, but not many cars on the road at one time. Tours are also an option but I haven’t done any yet, so I don’t have any recommendations. Sorry! Is UberValle still available? I read somewhere that this service had been discontinued. Sorry for the delayed reply! I haven’t heard whether or not Uber Valle has been discontinued but it’s possible. I’ll look into it, thanks for the heads up!